This is a Christmas carol from France, originally written in Burgundian by Bernard de La Monnoye and published in 1720. Its title is onomatopoetic, mimicking the sound of the drums of shepherds gathering around the birthplace of Jesus Christ. Apparently, the same shepherds also play the flute, as indicated in the lyric “tu-re-lu-re-lu”. 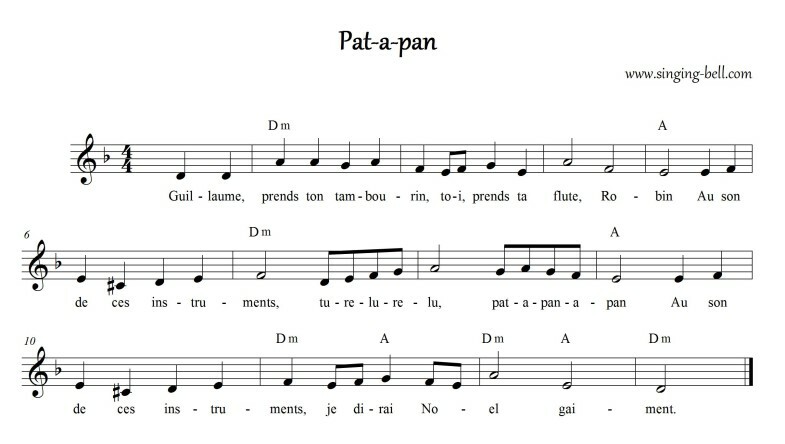 The original title of this carol was “Guillô, Pran Ton Tamborin” (“Willie, Take Your Little Drum”). 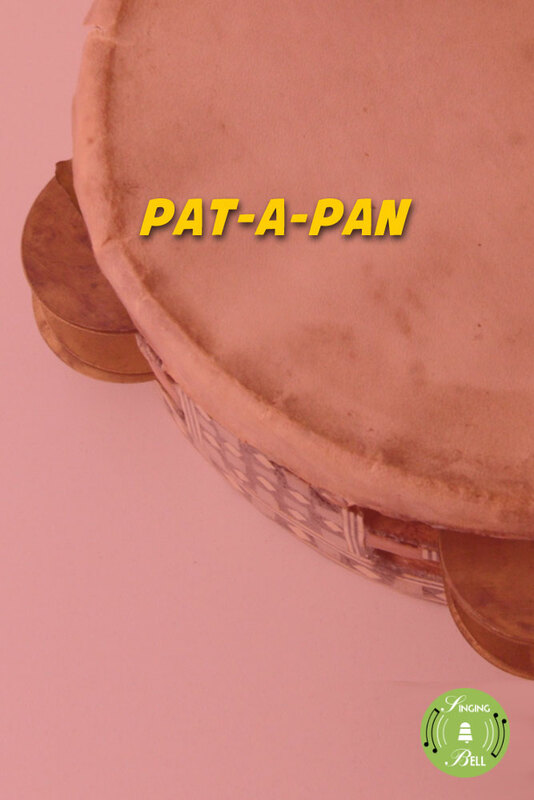 To download your free mp3 of “Pat-a-pan”, click (or tap, on mobile devices) on the following link. our children won’t be dumb. To download a ready-to-print PDF of “Pat-a-pan” for music activities with a music sheet, lyrics and a colouring sheet for kids, right click (or tap and hold, on mobile devices) on the following link, then choose “Save link as…”. Hello, I was wondering if I could use your song recording for “Pat-a-pan” on YouTube? The video will not be monetized. We are having a children’s gathering in October and I am wanting to sing over your recording on post to youtube for the children to learn the lyrics and melody before the gathering. We will be happy to give you credit and post a link to your http://www.singing-bell.com site. Thank you for your consideration. Hi Mia! Since the video will not be monetized, we’d love to grant you the license. Thanks in advance for giving us a link, too!